In the spirit of productivity I’ve decided to post more ‘in progress’ notes. Above, the dried and pressed boards from yesterday’s post are sewn in, you can just barely see the starburst stitching on the spine. 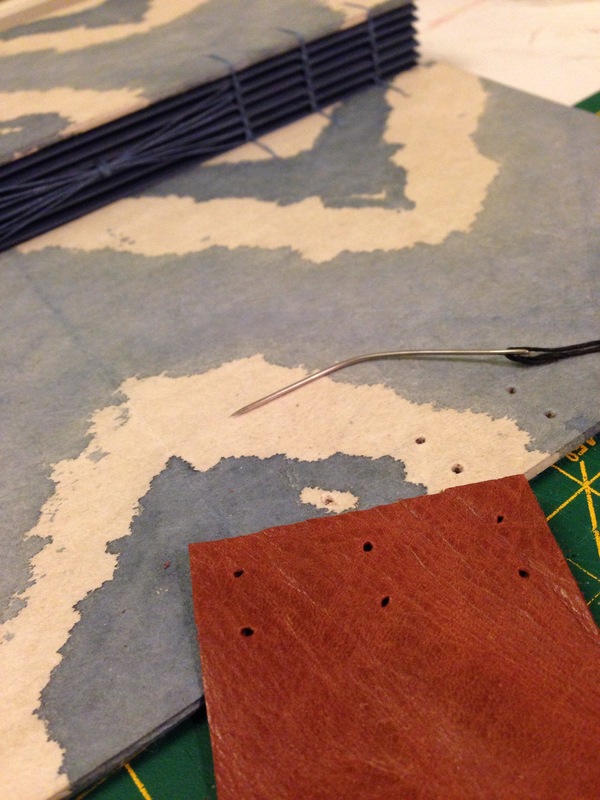 The leather closure is being attached, and as always, I use reclaimed leather. Creating secret envelope pockets is always a fun task! These are part of the Adventure Journal, which is debuting at the One of a Kind Show next week. (I’m at booth D49, just in case you’re planning to stop by). 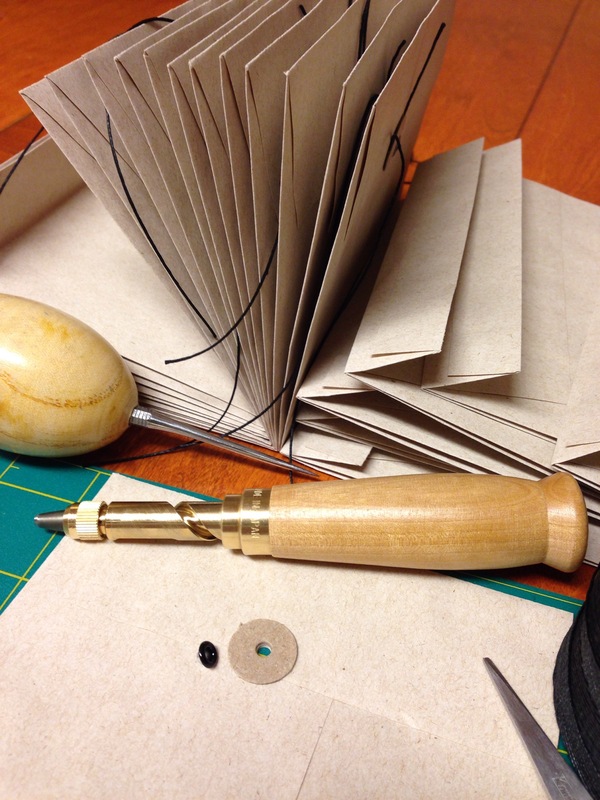 This entry was posted in 365 Project, Book Binding, Creativity, Latest Projects, One of a Kind Show and tagged bookbinding, handbound books, in progress, one if a kind show, sprouts press, Toronto by sproutspress. Bookmark the permalink.